The famed director of My Neighbor Totoro and numerous other classic anime is retiring. The recently released Kaze Tachinu will be the 72 year-old Miyazaki's final feature film. 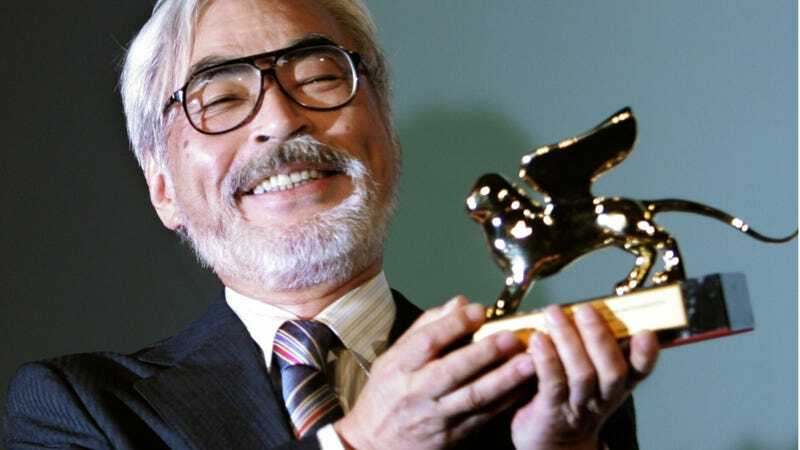 According to Japan's Cinema Today, Studio Ghibli exec Kouji Hoshino announced the news this Sunday at the Venice Film Festival, where Kaze Tachinu is being shown. "Please understand that on that today, I won't be able to answer any questions about the retirement," Hoshino explained to the international press at the Venice Film Festival. "He sincerely wants to say good-bye to everyone." Yomiuri reports that Miyazaki will talk this Friday in Tokyo about his retirement and what it means.